From being an ordinary cotton mass for night comfort, pillows have traveled a long way to become a versatile utility piece to suit each individual's needs. 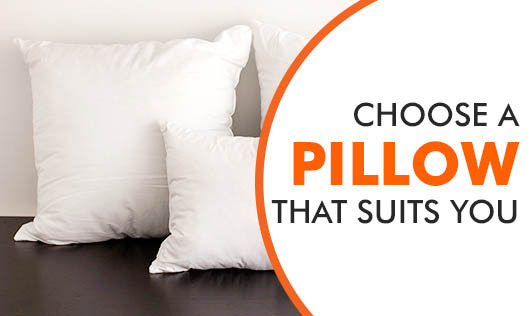 A pillow can have a cotton filling or foam or feathers or synthetic material. Apart from the regular pillows, orthopedic pillows are also available to give support to the user. Neck pillows are the most commonly used orthopedic pillows. Neck pillows or travel pillows as they are commonly called, are mostly used by frequent travelers to rest their neck and head in a comfortable position while in an aircraft or bus. Lumbar pillows help to support the lower back and are useful for persons with low back problems. Other types of pillows are used to support the knees, legs, tailbone, shoulder, etc. Special pillows are also used to prevent acid reflux for people with GERD. By choosing the right pillow, you can sleep much better because the comfort level shoots up. Speak with a sleep medicine specialist or an orthopedic specialist if your pillow is causing aches, pains or sleep difficulties for you. They will guide you with what would suit you best.